*You can see my original post about why I picked this word here. Although I thought I was crazy at first, I definitely did not hear wrong when choosing my one word for 2014. ‘Fruit’ is a word that I believe I probably should’ve been more aware of long before now. I am not perfect, by any means, nor do I claim to be. However, I have already grasped the importance of why I chose this word and that has helped me in a great way. I try to be on constant Fruit Alert, but as a human, it does tend to slip my fleshly mind at times. There have been several occasions and conversations throughout this year that I have thankfully heard the Holy Spirit quietly whisper to me my #oneword. 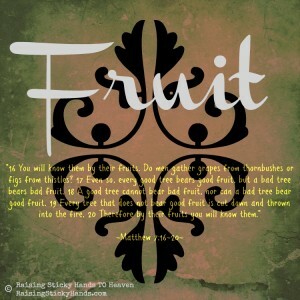 Now, when you hear the Holy Spirit whisper gently, “Remember….fruit,” it truly puts things in perspective. I decide to stay silent instead of unnecessarily putting in my 2 cents worth. I decide to put on a smile and show love even when I don’t feel like being in a good mood. I decide that when I’m angry over the change in my husband’s work schedule, it’s better to pray about it instead of writing a Facebook rant status. Don’t let your attitude/actions/reactions determine your fruit. Let your fruit determine your attitude/actions/reactions. This is what I’ve learned so far from my #oneword #2014. *You can see my original post about why I picked this verse here. Oh, boy. This one has been tough for me. Not so tough that I began to let discontentment overwhelm me and wallow in self-pity, but enough that I have felt the Holy Spirit nudge me to remember my one verse for 2014 oodles and gobs of times this year! As I stated in my original post, I believe discontentment is one of satan’s greatest lies. It’s the lie that whispers unhappiness to women around the world. I know I’m not the only one with this struggle. I know this because I have seen the effects of this lie in the lives of many of the women I’m acquainted with, as well as my own life. It’s not an easy struggle. But it is a struggle I can take control over. That’s why I chose this verse. I was so tired of comparison and other lies making me feel like my life wasn’t good enough, like I wasn’t good enough. As I said, it’s still a bit of a struggle, but this verse has helped me many times to get over it quickly. I don’t get stuck anymore because I remember that in whatsoever state I am, I can be content because I am right where God has placed me. And His word definitely trumps satan’s lies at all times! Want to see more posts from us about how we are trying to start the year off right? Click here! If you know me personally, you may think I’m “cheating” by using this scripture for my #Verse2014. It has been my favorite since I was a little girl and I have it on display in various parts of my home. However, the truth is I prayed about what scripture to keep in focus this upcoming year, and this one kept coming to mind. It wasn’t until I was settled in on a One Word (serve) for this year that I was sure that Philippians 4:13 was the exact scripture I needed to remember day in and day out. 2014 holds a lot of changes for our family and for me personally. None of them will be easy. There are habits to break, routines to put in place, goals to reach, and a lot of growth to take place. No is not an option on any of these changes. They must happen. While some of them, like getting in shape after spending most of 2013 very sick, seem impossible, I know that with Jesus’ help I can make it happen. We’ve all heard the explanation of this verse in a sermon, sunday school, children’s church, Bible study, youth group, etc… It doesn’t say some things. It doesn’t say most things. It says ALL things. I can do ALL things through Christ who strengthens me! I can raise my children the way God wants me to. I can accomplish the goals that seem so far out of reach. I can take my health back. I can beat insomnia. I can serve God the way I should even on the days my flesh wants to take over. I can do it all, but not on my own. Not at all on my own. I need Jesus to help me. I need Jesus to guide me. I need Jesus to open the doors that would close in my face. I need Jesus. On a final note, I want to mention that Emily and I did not discuss what our scriptures would be. 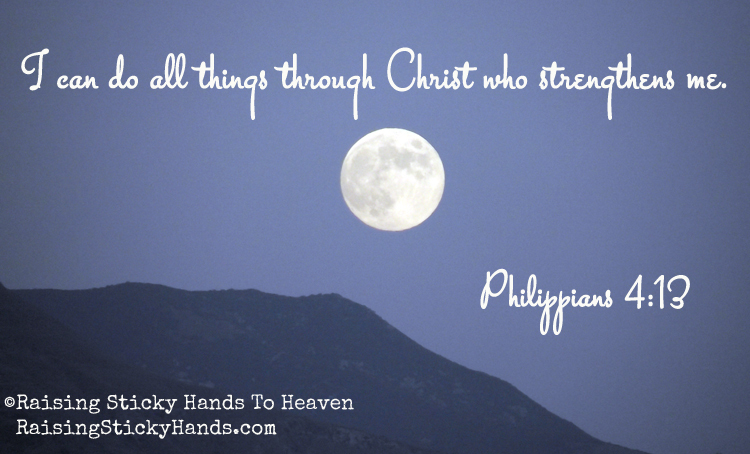 We just so happened to choose scriptures out of the same chapter in Philippians. (Click here to read Emily’s #Verse2014.) How cool is that? I love when God pieces things together that way. 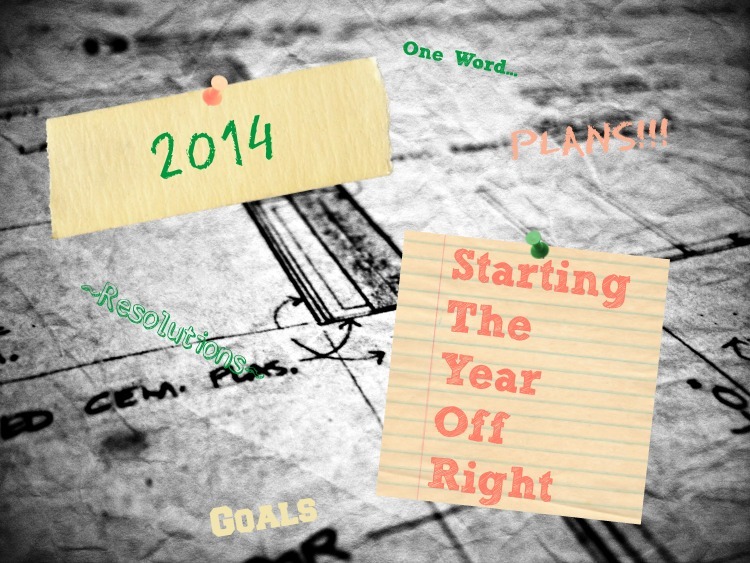 Do you have a particular theme verse for 2014? Please share it with us! If you don’t have one yet, go to http://blog.youversion.com/ to help find your #Verse2014. I want to start by saying that I will definitely have more than just one verse throughout the year. There are times or seasons when a particular verse or passage is what my spirit needs and I will devour that verse until that season is over. Just because this is the verse I chose for 2014 doesn’t mean I will lose sight of the bountiful buffet of God’s word that is available for me. I may have a focus verse, but I will still feast on His entire word. Now on to the WHY. Why did I pick this verse? Because I am so tired of discontentment. Discontentment is one of the biggest weapons that the enemy throws at women. All women. We become bombarded with thoughts like, “I wish my house was as nice as…” or “I wish I could lose 15 pounds, then I would look prettier,” or “I wish my kids were that driven,” or “I wish we made as much money as the Joneses,” or “I wish I had nicer clothes,” or “Insert your own example here.” The possibilities are endless! The devil will send one of these little thoughts along and once we let it creep in, it begins to plant a seed of discontentment. Then another thought comes along and waters the seed. Yet another one comes along and before we know it, discontentment is what rules our life. And here’s another little tidbit about discontentment—it’s fruit is bitter and ugly! “Comparison is the thief of joy.”- Theodore Roosevelt. How true this statement is! I read this statement sometime early in 2013 and although it stuck with me, I still struggled/struggle with discontentment. And most of my discontentment stems from comparison. I’ve decided that I don’t want comparison to have any hold over me anymore. Throughout 2014, I’m not giving up my joy for discontentment. So maybe I can’t afford monthly pedicures like some women. So maybe I don’t have the perfect show house that appears to be decorated by Martha Stewart. So maybe I don’t look like the women in the latest fashion magazines. So what! The Lord is my shepherd; I shall not want… In this I will be content!